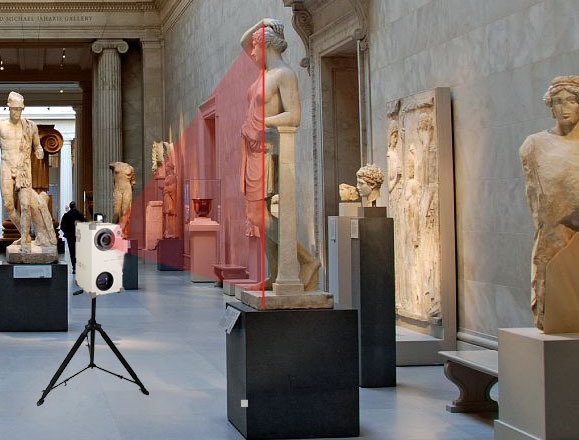 A 3D scanner is a device that creates 3d computer models by capturing objects in full color with laser precision. That innovative technology finds wide range of applications in many branches of industry. Please read below to get some ideas of what it might be used for and how it may improve your life and work. The most reputable artists and architects are known of taking the shapes from the physical world objects and incorporating them in their artistic work. It happens very often that high complexity extends time of project and makes a shape hard to recreate in traditional in-person modeling way. 3D Scanning Services is ideal solution for those who want to save the time, expenses, and create realistic objects with laser accuracy. What is more, digital format of 3D scanning will help to store and archive your work that in the future you can refer to it, reproduce, or make further modifications. Simply copy your work to digital format and show off of your impressive portfolio. 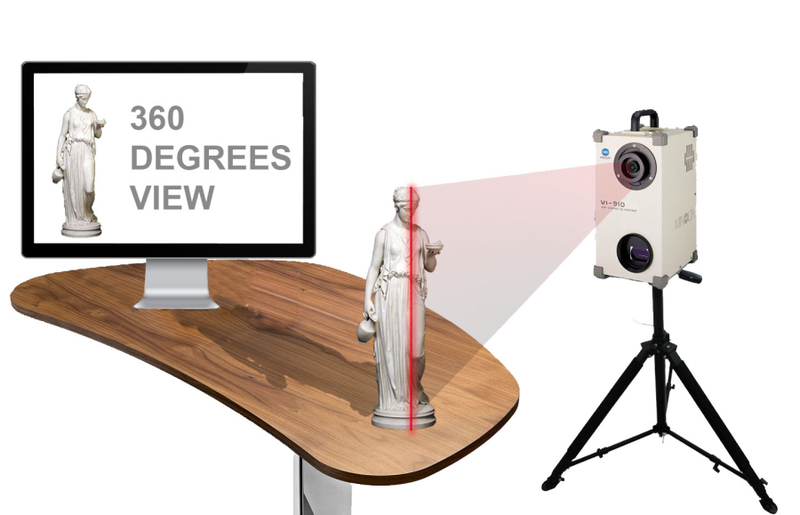 Our 3D scanning services is perfect answer for architects and engineers and for those who specialize in historic, heritage, architectural or preservation field. 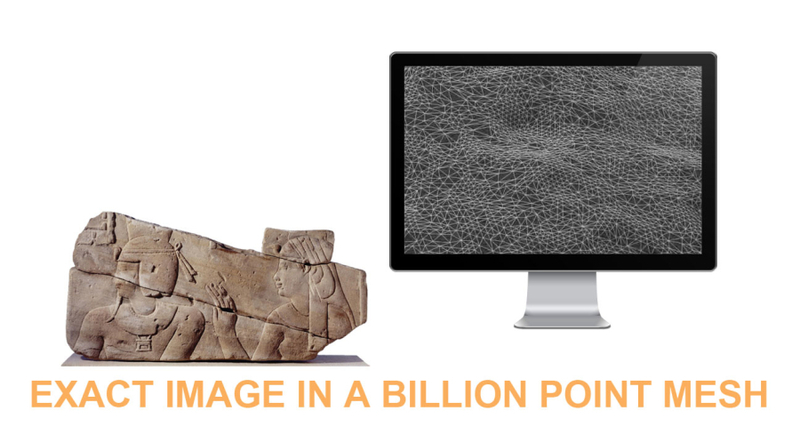 Laser imaging strongly support reconstruction documentations, quality reports of existing objects. It has high capabilities of tracing Reliefs, architectural details, sculptures, or terrain irregularities, or just object’s imperfections. Perfectly copied 3D image will help you to share your discoveries with others by having seeing it as 3D in real life, which means you can zoom in-out, rotate, and inspect closely each detail. You can send your part to us by mail, or if object is too big we can schedule appointment. One of the most important issues in the science of museology is the art of preserving artifacts were its mirror copy plays a crucial role. 3D scanning services is a breakthrough technology that not only let you archive artifact in its original state, but it also will preserve texture, color, and shape as well. Thanks to innovative technology, our services are offered not only in museum environment, but also in any place where the object is located which makes increase opportunity for accessing unseen before information. Virtual collections help scientist and visitors in better understandment of certain art, historical events, or reconstructions. 3D realistic copy gives possibility of the copied object to rotate, scale, viewing its details form each side, and also research back in the future. Files from 3D Scanner are easily processed by graphic designers, animators, or video editors for further productions that may find its place in realistic visualizations, animations, websites presentations, or just movies. The one of the things that makes our services extraordinary is reproductive ability of our 3d printer, which may produce exact model or just certain part of it. Above mentioned new way of archiving without any doubts revolutionize new way of sharing information and improve communication with audience, scientist, and historians. Copied original state of the artifact gives 100% image of all unique characteristics that the object shares. Your imagination has no limits. Create concept of the cartoon or animation heroes and bring them to life. Thanks to 3D scanner you digitalize your ideas and make them alive thanks to 3D software such as Maya or 3D Studio Max. In 3D world redrawing organic shapes in ordinary way is a time consuming task that combined with high designing skills might be still a challenge or just pricey. Do you remember Jurassic Park movie? Producing photo-textured 3D models for realistic walk-bys Digital Scanning turned concept models to virtual reality-Your success is guaranteed!!! Our 3D services allow scientists and medical professionals to perform laboratory and offsite scanning of physical objects and transform them as digital models with ability for endless reproduce. The highest qualities of capturing the object in 3D, without any doubts, create the best evidence for approval or deny hypothesis, documenting forensic discoveries, and incredible opportunity of sharing that information with others. 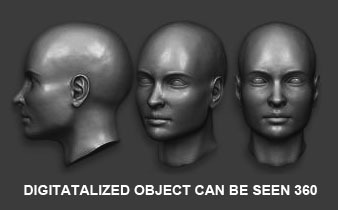 Adding or removing features thanks to 3D software gives you chance of resizing and changing shape of any model, and emphasize pre-operational state that might be consulted and physically shown to other specialists. 3D laser and 3D reproducing technology create new standards of education in medical field, which makes your profession risk free. Applications to the fashion and apparel industry. 3D human body model enables production of customized wide variety of garments that might be tried on in virtual fitting rooms. Upload your silhouette and have automatically matched all sizes accordingly - Step ahead into future. 3D scanning in fashion design has a lot of applications, among others you may create prototype, digitalize it, present to wide audience, and what is the most important collect feedbacks from social networking websites. Thanks to that effective communication you may easily determine your next steps in fashion design industry that not only decreases cost of marketing campaigns, but also make it much more effective and money wise speaking-profitable. We copy shape of your product in extreme high accuracy mode and we prepare 3D patterns ideal for thermoform packaging applications. What is more, 3d scanning is convenient way to design packaging and plan the most economical solutions of shipping. What is more, digitalizing wide variety of competitive packaging will help you to determine the best solution for your product by comparative judgment among others. Outsourcing solutions are one of the most important factors in packaging industry and 3D scanning technology is the best answer to those needs. Did you ever think how you may show to vendor a product that doesn’t exist yet? At minimal cost you create virtual product and with a small combination of graphic design you are getting virtual item that speaks for itself and improves to the best level mutual communication between client, manufacturer and vendor. Don’t wait until is too late. If you have rare valuables, antics, paintings, jewelry, or other, you must have ideal image of those objects. Ordinary picture is not able to confirm authenticity, 3D scanner does. 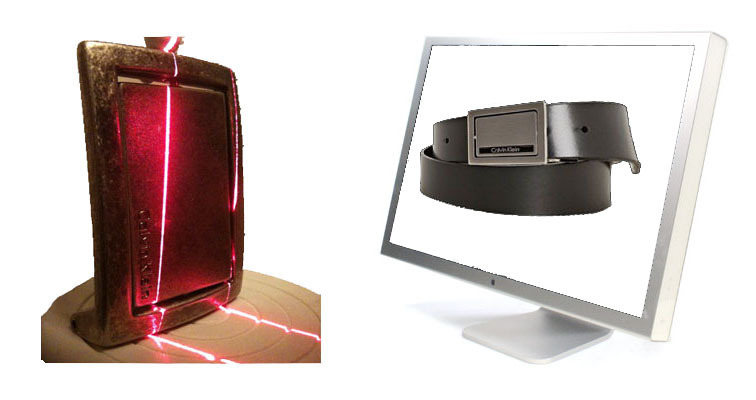 Scanner’s laser projects millions points of the certain object and create mesh structure that thanks to laser’s strength it can show every scratch and unusual characteristics of your belongings, often not easily noticeable by human eyes. Scanned object will be in full scale and with all high accuracy dimensions which help significantly in further authenticity confirmation. In fine art every move of painter’s brush has own importance and makes painting so individual. 3D scanner can copy entire painting and can even detect paint depth, which gives you new level of authenticity recognition. Secure your belongings now!!! And have digital copy of your valuables. There is no better way of presenting your product to a costumer by showing how it actually works. It is proved that Virtual presentations are much more effective than traditional product marketing. Use our services to copy your items and transfer them to a virtual world and create new interactive product presentation, where costumer will get better understanding of functionality, and superiority picture over competition. This offer is best thing that would ever happen for those who are taking care of car restoration. Mentioned process requires a lot of patience and a good part resource. What to do if your plastic part is broken, you are missing one, or the part is no longer manufactured? We have laser scanner and we can copy exact shape of any part you want. Complicated forms very often are a true challenge for CAD designers and may involve high risk of missmeasuring, which may bring loss of money and time. That’s something that won’t ever happen with our laser technology that makes mirror copy of your part. Additionally we offer 3D printing, where you avoid tremendous cost of mass production of your part and you have guarantee of high quality measurements and final output. How about if you already have part and you need more? It is no problem, once we 3D scanned it we have computer model, which can be reproduced as many times you want. In automotive industry there are tons of wide varieties of parts. Many times they are confused and mixed. By virtual digitalization of your part you show to your vendor exactly what you need, which cut a lot of time in research process and brings satisfactions to your costumers. If you ever thought how your model of the car or motorcycle would perform in aerodynamic simulations then our 3D services are the best solutions to make first step into it. Thanks to scanned shape the ergonomic analysis is now available. Today, the wide variety of softwares offers those analytic features. Solid Works is just an example of such possibility. Previously digitalized object you insert to a software and from now on you may run performance simulations. If you need to replicate any of the parts, or you are looking for unreachable custom parts, we are the best place to start your research. We can copy whatever you need and reproduce it. What is more we offer drafting services where we can make drawings and 3D models, and assemblies accordingly to your directions, notes, and measurements.